We are dedicated to upholding the ideals of trust, compassion, and ethical commitment to our patients, clients, and community in Chapel Hill, NC. Our full service veterinary facility provides excellence in medical, surgical, and preventative healthcare while our luxury resort and spa accommodations provide a unique way to pamper your pet. 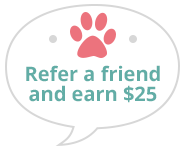 Feel free to click the options below to take a closer look at what we have to offer you and your pet. The medical staff of Dogwood Veterinary Hospital & Pet Resort offer your pet pain free, cutting edge diagnostics and procedures. Our goal is to prevent disease, detect problems early, and maintain a good quality of life. Dogwood Veterinary Hospital & Pet Resort offers full dental care, including prophylactic cleanings, dental scaling, polishing, full mouth digital radiographs, periodontitis treatments, and extractions. Dogwood surgical staff is focused on providing your pet with the best possible outcome, while ensuring the utmost safety during anesthesia and a completely pain-free experience. Dogwood Veterinary Hospital & Pet Resort is excited to offer our clients Companion Laser Therapy. Laser therapy reduces pain and inflammation and accelerates the healing process. Dogwood’s upscale boarding accommodations allow your pet to enjoy a comforting, playful, vacation experience away from home. Never again feel guilty about leaving your pet. Pets love their vacations at Dogwood! Keeping your dog or cat well groomed isn’t just to make them look and smell great, it will also help them to feel healthy and comfortable.